With highly targeted digital marketing programs and detailed lead tracking, agency rapidly reaches major client milestone. Wellesley, MA (October 22, 2015) – MD Connect, Inc. today announced a significant milestone in their ongoing work on behalf of phlebology (or vein) practices nationwide by recording their 250,000th vein patient lead (or ‘referral’). Referrals were driven via MD Connect’s targeted digital marketing programs (which span search, display, social, mobile, video, reputation management and more). 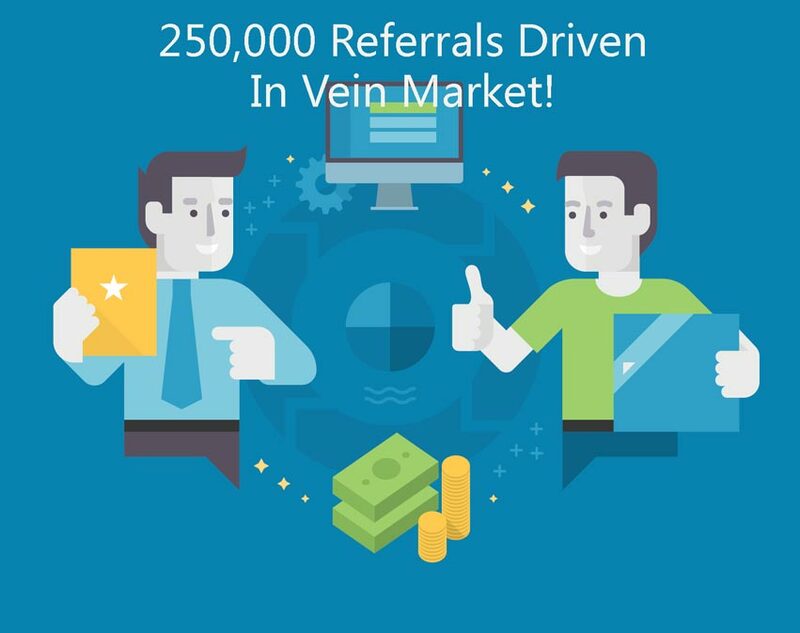 MD Connect and their founder have a long history in the vein market; with over 10 years’ experience working with over 200 different vein clinics nationwide. Current MD Connect vein clients cover more than 70% of the US population base and MD Connect partners with many of the leading vein businesses. Additionally, MD Connect’s founder has been a faculty speaker at multiple American College of Phlebology conferences and produced a highly referenced research study on relative rates of return of marketing investments amongst the ACP membership. MD Connect measures client results (both for digital and other media) through their proprietary lead tracking and intelligence platform. All clients have access through a secure portal and can view (in real-time) both online and offline (phone) lead activity, with visibility often extending through to appointment data. On average, clients are receiving 20-40 referrals per month (although some are receiving greater than 300 a month). MD Connect is a digital healthcare marketing agency with locally targeted programs proven to drive significant referral volumes at costs below that of traditional media. MD Connect programs typically include integrated referral measurement, helping to clearly show clients that their marketing investments are generating a positive return. MD Connect has over 20 years of both medical and digital marketing experience and has managed digital marketing programs for hundreds of leading hospitals, physician practices and medical businesses in over 30 different medical specialties (both medical-surgical and cosmetic).